It was announced through Toei's website that there will be a special Ressha Sentai ToQGer Vs Kamen Rider Gaim episode airing this March 30th. 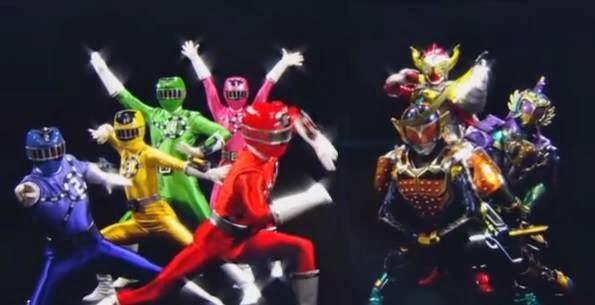 This very special broadcast decision by Toei will also feature Kamen Rider 1, 2 and V3. More updates will be posted soon.